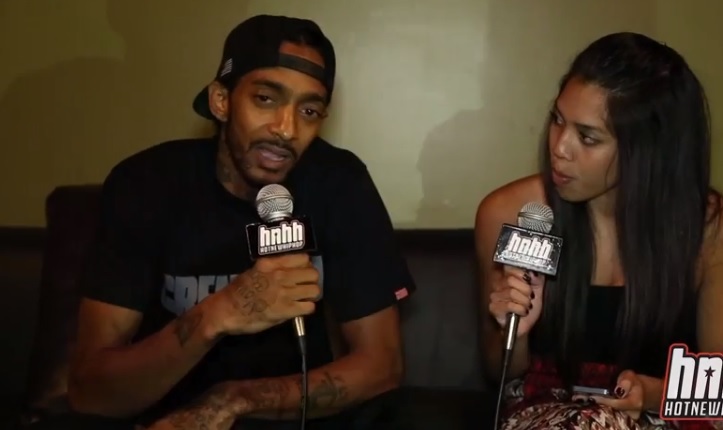 Neighborhood Nipsey Hussle catches up with HotNewHipHop for a candid interview backstage at the recent taping of the rapper’s performance on AXS TV’s new breakout music show SKEE Live. The Los Angeles native touches on the inspiration behind his new mixtape Crenshaw and explains how the project came to fruition after recording so much material for his upcoming TM3: Victory Lap. Hussle also clarifies to viewers that the sound of Crenshawembodies his upbringing. Nipsey also speaks on the underlying messages fans can expect to hear in his music, the meaning behind his government name and shares details behind getting his start in music. This entry was posted in Interview, Video and tagged behind the scenes, crenshaw, hip hop, hot new hip hop, Interview, jen deleon, Los Angeles, mixtape, rap, Skee Live. Bookmark the permalink.